THE skeletal remains of a young child found in a suitcase in South Australia are believed to be of a little girl, police have announced. The body of the child was found on the highway near Wynarka, outside of Adelaide on 15 July. Police believe that she suffered a"violent, horrible death". While they have not yet been able to scientifically identify the gender, race or DNA of the child, police believe based on the evidence that it is "likely to be a little girl" with fair hair, Detective Superintendent Des Bray has said. In a statement police said that the girl who could have been killed as long ago as 2007. She would have been two to four years old at the time of death so if she died in 2007 she would have been 10 to 12-years old today. She could also have died much more recently, they said. Investigators believe that the victim was killed in a different location and that the body was then moved to the highway in the recent months or year. It is important that the public remember that the toddler may have died "some time ago", Detective Bray said. 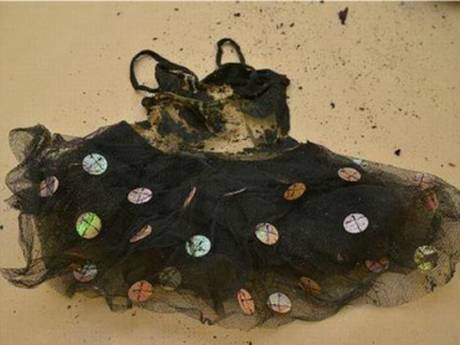 Some of the clothing found with the child's body was made in 2007, with others manufactured after then. The fact that the body was in an advanced state of decomposition and that the child's bones are small has made forming a DNA profile difficult however forensic specialists are still working to establish one. "There is a very good likelihood that we will get that information," Detective Bray said. Police believe that most of the decompostition took place outside of the suitcase, in another location. "Someone must know that little girl", Detective Bray said. Police are appealing for anyone in the greater area with concerns about a girl who was aged two to four-year-old between 2007 and 2014 to contact them. A man thought to be about 60-years-old has been sighted in the remote Wynarka town on 13 April and 26 May carrying a dark suitcase. No one knows who he is and police are searching for him in order to eliminate him from the investigation. Many witnesses saw the suitcase over a series of months before it was opened. Around the time of 14 July, the contents were tipped out into the bushes before being reported to police. The person who emptied the suitcase onto the ground has not contacted police and is being asked to do so immediately. 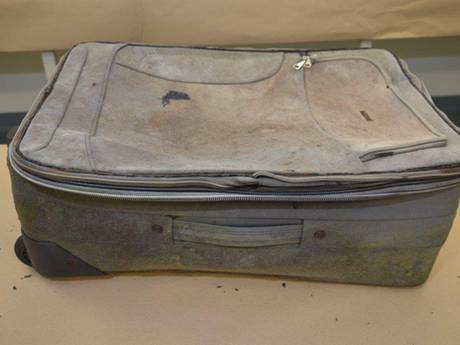 The suitcase that a child's remains were found in on a motorway in South Australia. South Australian police have worked with the missing people sections and homicide squads across the country to eliminate potential suspects and victims. 24 specific potential victims who are missing or presumed dead have been considered and discounted as possibilities, narrowing the investigation. Missing four-year-old boy, William Tyrell, was thought to be the victim at first but police say that they have no evidence to indicate that that is the case and many indicators that the victim was instead female. Police thanked the public and the media for their strong support and asked for their continued patience.